I’ve been thinking a lot lately about relative risk in the context of health research. Relative risk is used to describe the chance of an event occurring with respect to the chance of the event not occurring, or occurring in a different group, etc. It often accompanies general media reports of health research e.g. the risk of getting scurvy is 10 times higher for people not taking vitamin C vs. those who do (completely fictional example!). Indeed, it almost always accompanies the written results in the original research paper, and it should. However, what is often lacking in media reports is the context of the risk, and/or an interpretation of its impact. Using the vitamin C example above, we might be concerned that we’ll get scurvy if we don’t take vitamin C supplements. Ten times higher seems like a lot! Although I’m sure the vitamin C manufacturers would like this assessment, let’s see if it really holds water. Imagine in our fictional universe that the researchers followed 100,000 people for 10 years. After 10 years they counted that 55 people had gotten scurvy over that time. They also recorded that half of the people were taking vitamin C supplements regularly, while half were not. Of the 55 scurvy sufferers, 50 were not taking vitamin C, while 5 were. In probability terms then, non-vitamin C takers had a probability of getting scurvy equal to 50/50,000 = 0.001, or 0.1%, while the probability for vitamin C takers was 5/50,000 = 0.00001 or 0.01%. Therefore, the risk of getting scurvy was 10 fold higher (0.0001 x 10 = 0.001), for non-vitamin C takers. Which still sounds bad! However, you might not actually be super concerned about a 0.1% chance of acquiring scurvy, especially as the researchers in our fictional example did not factor in other possible causes of scurvy e.g. socioeconomic status, and other illnesses that may influence the absorption of vitamin C.
I think it’s pretty clear from this example that without information about sample size, it’s difficult to assess the size of the actual risk. Indeed, to be really thorough we would also need to know the numbers of people in each group, not just the total. Next time you’re reading a news article that reports relative risk, see if it also reports total sample size and group sizes. You may be surprised at how often it gets left out of the discussion. One of the most frequent responses that I get when people are trying to guess what a genetic counselor might do is something along the lines of “so maybe you’d see a genetic counselor if you want to have a baby… and maybe there’s some testing… or something?”. 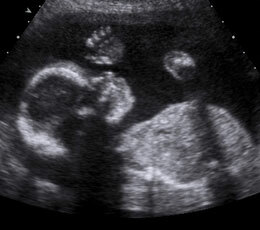 The area of prenatal genetic counseling is probably one of the most well known. There are a variety of ways in which a genetic counselor can be helpful in the process of family planning. You can see a genetic counselor before conceiving or during a pregnancy. This is an ideal time to see a genetic counselor. At this stage a genetic counselor will review your family history and can identify whether there are any risks for inherited conditions in your family or due to your ethnic background and whether there are any genetic tests that could be performed before or during a pregnancy. Some people may prefer not to know, however. So you can consider which phrase rings more true to you: “Ignorance is bliss” or “Forewarned is forearmed”. Are you someone who needs as much information as possible, or would you rather roll with the punches? An important point that is often overlooked in discussions of testing for genetic conditions is the fact that there is a baseline chance of 3 – 5% for the diagnosis of a physical or mental difference within the first year of life; and the majority of these cannot be identified before birth. So even if all the tests that you have come back negative, that does not mean that your baby is guaranteed to be completely “healthy”. (As a sidenote, one of my pet peeves is the use of the term “healthy” without really considering what it means to be healthy. In my opinion the expectation for a child to be completely healthy is delusional because every single person experiences some sort of health concern at some time during their life, but that’s a completely different blog post…) Taking folic acid supplements are recommended for all women of childbearing age, but particularly if you are trying to conceive. You could be seeing a genetic counselor during a pregnancy for a variety of reasons, including: to understand the impact that taking a particular drug had on the baby, for genetic testing for a particular condition that has been identified in your family, because unexpected structural differences have been identified on an ultrasound (e.g. spina bifida or club foot), however, the most common reason is to discuss the result of a screening test. The most important thing to know about a screening test is that it only tells you a probability – it does not give you a definite answer. For example, the blood test during pregnancy for Down syndrome will not tell you if your baby has Down syndrome or not. It can surprise people to find out that even if your blood test comes back positive for Down syndrome, the most likely outcome is that the baby doesn’t have Down syndrome (possible future exception: non-invasive prenatal testing blood test results). The idea behind screening for Down syndrome and other conditions, e.g. Trisomy 18, using this blood test is to give couples more information on which to base a decision about whether or not they would like the diagnostic test, e.g. an amniocentesis (this is a test that will give you a definitive yes/no answer). Another important point is that genetic counselors do not encourage couples to have the diagnostic test or to end a pregnancy with a diagnosis – the goal of genetic counseling is to help couples to understand the probability information (which can be a bit overwhelming!) and to make the decisions that are right for them. 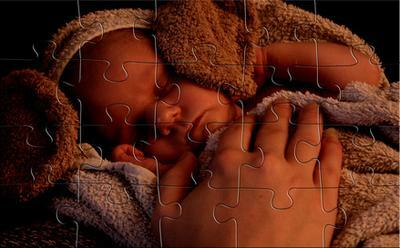 Many couples appreciate knowing about a diagnosis of Down syndrome in advance of the birth so that they can prepare – connect with a local Down syndrome organization (such as the Lower Mainland Down Syndrome Society: http://lmdss.com/) or make an adoption plan if they feel that they don’t have the resources (financial, emotional, etc.) to care for the child. Personally, I’m very conflicted about whether or not I would have prenatal screening for Down syndrome in a pregnancy. I know that I am the type of person who likes to have as much information as possible, but at the same time I know that I can become quite anxious and that stress can negatively affect the baby’s development. This is part of the motivation for a student’s research study that I am currently co-supervising – we want to find out more about the emotional impact of prenatal screening for Down syndrome. What do you think? Would you want to have screening? Have you had it? Why might you receive genetic counseling as a child? The main reason for referral to Medical Genetics during childhood is due to physical and/or mental differences that a parent, a teacher, or a child’s health care provider has noticed. In this case, the child is seen by a geneticist and a genetic counselor. What’s the difference between a geneticist and a genetic counselor? A geneticist is a medical doctor that has specialist training in genetics and developmental biology. Geneticists, as medical doctors, have the responsibility of making a diagnosis (where possible). Genetic counselors work with geneticists to collect information, such as family or medical histories, that might support a diagnosis, or, rule out a diagnosis. In the world of Medical Genetics, we know a lot about many extremely rare conditions. To put that in context, we consider diseases that affect 1% of the population to be common. Expertise in the area of rare conditions is particularly valuable for those individuals who have seen specialist after specialist without receiving a diagnosis that is capable of explaining all of their symptoms. Genetics experts act a bit like detectives – hunting down pieces of evidence and attempting to fit those pieces together to see the big picture. While receiving a diagnosis inevitably brings with it an adjustment, there is great benefit to having a name to describe your experiences. Having a diagnosis can also alert you to other symptoms to watch out for or health risks that can be minimized – this can give you somewhat of a sense of control over the condition. It can also be incredibly empowering to connect to a community of people who have had the same (or very similar) experiences – it is easier to find people who have been through what you have been through when there is a name for what you’ve been through! It is also possible that there may be treatment or even a cure for the condition that is identified. You will not necessarily have any genetic testing. In fact, genes haven’t yet been identified for many genetic conditions (making genetic testing somewhat challenging!). Many clues to a genetic diagnosis can be found simply by looking at a person. This may sound creepy, but it is actually possible to make a diagnosis on first sight. Geneticists have an in-depth understanding of the way the body is formed and there are certain patterns of changes in appearance (many of which are very subtle) that can suggest an underlying genetic change. Geneticists will often want to take measurements such as the distance from one of your hands to the other when they are stretched out as far as possible (arm span) or the distance around your head (head circumference). Sometimes these very simple, but very powerful, tools are sufficient to make a diagnosis. It is quite likely that you have no family history of this condition. People often find it difficult to understand how a child of theirs could have something when there’s never been anything like it before on either side of the family. It is completely understandable that families feel blind sided and unprepared when this occurs, but it is part of the unpredictability that is also very exciting about creating an entirely new person. We ask parents whether they might be related by blood. This isn’t to make you uncomfortable, and there is no judgment implied in this question. It is simply a piece of the puzzle that can inform the big picture. When relatives, e.g. cousins, have children there is a higher chance for the inheritance of certain types of genetic conditions. I hope this helps give you a sense of why a child might receive genetic counseling. Please ask me any questions or share you own stories – I’d love to hear your experiences! Most people who are referred for genetic counseling have never heard of it before, and can be quite intimidated by the sound of it – is someone going to try to change my genes?? Like gene therapy or something? Or is it more like Gattaca?? Designer babies???? But what does this mean for me if I receive genetic counseling? 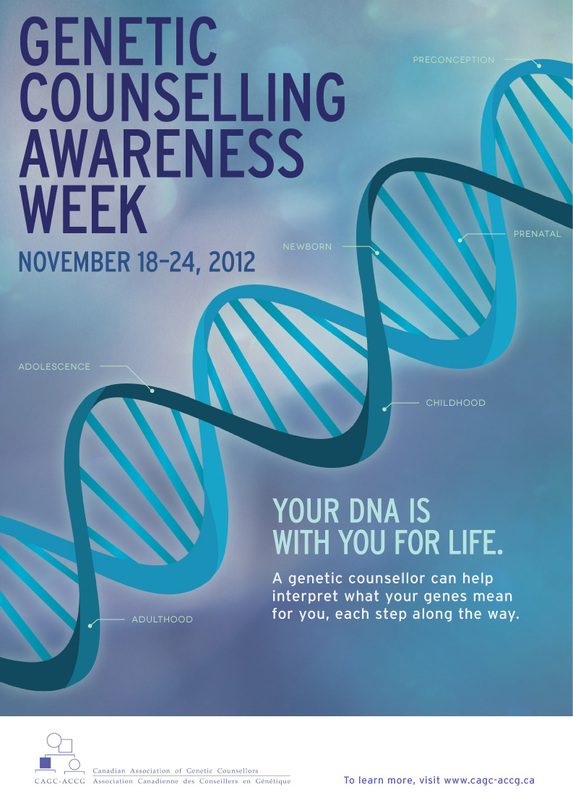 Meeting with a genetic counselor involves both education and supportive counseling. In terms of education, genetic counselors are a resource to help you to understand complex results and information. A genetic counselor’s training emphasizes the importance of translating technical scientific and medical information into formats that anyone can understand (including the use of visual aids, analogies, models, etc.). Part of a genetic counselor’s job is to tailor the information provided to your needs – what is it you want to know? In terms of the supportive component, examples of this can include supporting decision making around whether or not to have a genetic test or identifying appropriate community resources for your situation. Think you might want to be a genetic counselor? The year I turned 40 was a year of new beginnings. My daughter started kindergarten, my son graduated from high school, I got a promotion at work and new and exciting things were coming my way. …Until January of last year when a high school friend lost her battle with breast cancer, leaving behind a loving family and beautiful teenage daughter. This woman was the most outgoing, friendly and loving person you could ever meet. The kind that would do anything for a friend, who always had a ready smile and a fantastic, contagious positive attitude – despite, or perhaps in spite of, the hell I’m sure she was going through. We lost touch after high school, but became “Facebook Friends” in recent years. When I heard she had passed away on New Year’s Eve, I made my first New Year’s resolution ever – to start getting mammograms every year on her birthday, January 17th. I booked my first appointment immediately. I don’t really know what I was expecting but it certainly wasn’t awful. It was very simple to book the appointment and not much of a wait to get in. When I arrived at the Screening Mammography program at BC Women’s on the day of my appointment, I was greeted by a friendly receptionist and was ushered in a few moments later. I was taken to a change room and asked to remove my bra, but to keep my shirt on. I’d remembered not to wear deodorant or powder – yea! The room was a little chilly (!) and I was nervous, but the technician made me feel quite comfortable. She was matter of fact and efficient, which I really appreciated. It’s not every day that you let a stranger lift and tug at your breasts. One squish horizontally, one squish vertically and it was over and done in a matter of minutes. So what had all the fuss been about? Simple, fast and relatively discomfort free. A few weeks later, I received a letter from the Screening Mammography Program indicating that my exam was normal and to come back in one year. I am so grateful that this wonderful program is available to us here in BC free of charge and thankful that it saves so many lives. I’m so sorry that my friend Shawna lost her life to this dreadful disease but I know she would be thrilled that she was the catalyst for so many of her friends to begin having their annual mammograms. My next appointment is booked for January 17th. Join me in honouring the legacy of any one of our sisters, friends, mothers, grandmothers who have suffered with this disease and book your mammogram today. Screening is for healthy people who show no signs of illness, but can be at risk. By age 50, women should make screening mammograms part of their regular health routine. About one in nine Canadian women will develop breast cancer in her lifetime. One in 28 women is expected to die from the disease. Screening mammograms are the international gold standard for detecting breast cancer early. Mammograms can usually find lumps two or three years before you or your health care provider can feel them. Finding cancer early can mean more treatment options and a better ability to recover. Have you ever had a Urinary Tract Infection; and don’t know when it will end, how to stop it and if it will happen again? So what is a UTI, exactly? A UTI is a bacterial infection within the urinary tract. The infection can affect the urethra (urethritis), the bladder (cystitis) and the kidney (pyelonephritis). Since the urinary tract connects all these parts of the body, a minor bacterial urethra infection or bladder infection may travel up to the kidney and lead to serious consequences. What if I have these symptoms? Should I see a doctor? As mentioned earlier, many women encounter re-occurrence of a UTI. Your healthcare provider is the best source of information for questions and concerns related to your medical problem. Take home message: Go see the doctor regardless of the severity; it may be more than you think it is. Your doctor will assess your symptoms and take a sample of your urine to test for bacteria and white blood cells. White blood cells fight infection, and the presence of white blood cells in urine is a sign of infection. Kidney infection is more severe than bladder infection. It will require intravenous antibiotics and (depending on symptoms) you may be sent home to rest, or may be hospitalized. How to prevent recurrent UTI??
. Practice good hygiene – wash genital area once a day with plain water or mild soap and water. Rinse well and dry the area thoroughly (keeps the area clean and dry). What about CRANBERRY JUICE or EXTRACT? – Studies that have looked at using cranberry juice, extract, or other cranberry based supplements to prevent UTIs are not conclusive. If you are prone to getting UTIs, doctors may recommend this because even though the evidence is not strong, there is little harm to consuming cranberries. However, once you have a UTI, cranberry juice will not treat or get rid of the UTI. Donald, W. Kemper. (2005). BC Health Guide. (3rd ed., Vol.138, p.141). British Columbia, BC: Healthwise. T. Ernesto Figueroa. (2012). Urinary Tract Infection. Teens Health from Nemours. Retrieved October 11, 2012 from http://kidshealth.org/teen/sexual_health/stds/uti. html#. (2010). Urinary Tract Infection. National Kidney Foundation, Www.kidney.org Retrieved October 12, 2012 from http://www.kidney.org/atoz/pdf/uti.pdf. (2011). Patient Information: Urinary Tract Infections in Adults ( The Basics). Up to Date. Retrieved October 11, 2012 from http://www.uptodate.com/contents/urinary-tract-inf ections-in-adults-the-basics?source=see_link#. What is a doula? I hear this question so often that I am more surprised to meet someone who knows what a doula is than to have someone ask me “what is a doula?”. To be honest, I didn’t really know much about doulas until I started training to become one! Additionally, we were grouped into interdisciplinary teams of three and accepted clients as their doula. Specifically, our goal is to provide doula services free of charge to marginalized women who may be able to benefit from having a doula but cannot afford to pay for a doula. Doulas can do anything! Well, just about anything. Doulas will meet with their clients throughout their pregnancy, see how they are doing and assist them with information gathering as needed. We also discuss birth expectations and arrangements surrounding our client’s birth so that we can get to know our clients and help advocate for them during the uncertainties and craziness of birth. We can guarantee our presence for women whose support people may not be able to attend the birth but at the same time we can stand to the side or even leave the room when many support people unexpectedly show up and the woman is in great hands. During the labour process we can whip out our toolbox of comfort measures to encourage our client to try different positions and movements to provide pain relief. We can also help our client make phone calls, get juice or water, assist them in the shower, make sure to bring the music they picked out, etc… When the pushing begins we can be the person standing at the head of the bed encouraging our client to breathe and push but if her partner is doing a fantastic job, we will readily step aside. We can even be the person holding the camera up in the air while hiding out in the washroom (to stay out of the way of all the health care providers that come in) to help capture pictures of the baby as he/she comes out (trust me, it’s actually lots of fun!). Basically, doulas are there to support our clients with the non-medical aspects of their birth throughout the labour and delivery period. Basically, anyone! In my limited experience, the most common reason why a woman would like to have a doula is if she her support people cannot guarantee that they can attend their birth. Either their home is very far away from the hospital or they have other children that their partner needs to stay home and care for. A doula provides women with a familiar face during their labour and delivery. While women do not usually know exactly which health care professional will be at their birth, they will usually know the doula who will be present. A doula can provide comfort as someone who already understands the woman’s needs and can help them find ways to improve their birthing experience according to the woman’s preferences. Women who have partners who have never been at a birth or feel anxious in the setting may also find that they can benefit from having a doula who may be able to support both the woman and her support people. And to top it off, research has shown that doulas make a positive difference for the woman and her baby! As a doula, I have had the most rewarding experiences that I can recall. It’s an incredible privilege when women open up their lives to me at a vulnerable, stressful, exciting, but also extremely personal time of their lives. I have had the opportunity to share laughter with a woman who had a very smooth pregnancy and birth and also the opportunity to be a shoulder to cry on for a woman who faced numerous challenges during her pregnancy, birth, and post-partum periods. I have also had the opportunity to support a woman who battled addiction and poverty and I have developed immense respect for her as she fought through her challenges to become the mother that her baby needed. I cannot even properly describe how moved I was when a mother who had limited and precious time alone with her baby requested for me to feed her baby and so that I could share that intimate moment with her. Although I have had only a very small taste of what it is like to be a doula, I am unreservedly certain that it is one of the most memorable and worthwhile experiences to be had. For more information about doulas please visit Penny Simkin’s (“the mother of modern childbirth and birth doulas”) website and DONA International.